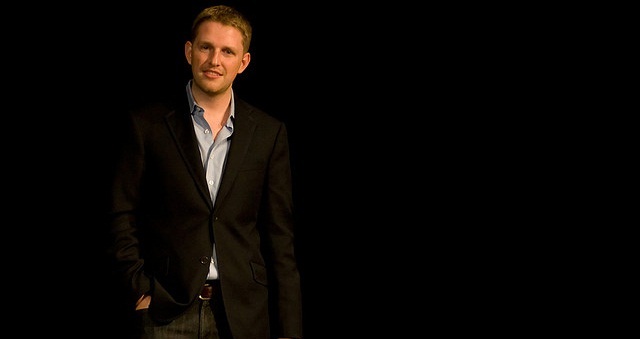 Named as one of the 25 most influential people on the web, Matt Mullenweg founded and runs an open source web platform that has revolutionized website publishing. WordPress began its life as free, open-source blogging software which quickly evolved into a general-purpose CMS used by millions of sites on the web. The success of WordPress speaks for itself and it is one of the most popular content management system engines around today, also used by many Fortune 500 companies. Memeburn caught up with Mullenweg for this exclusive one-on-one. Mullenweg spoke about features in the upcoming WordPress version and HTML5 integration and the early mistakes he made by “trying to do it all himself. He also speaks about why developers are five steps ahead of everyone else with “scripting being the new literacy” and how he wishes the iPhone was “more open”. Memeburn: WordPress has grown to become one of the most popular content management systems in the world. In your opinion, why has it experienced such rapid growth and worldwide usage? Was it what you expected it to be? Matt Mullenweg: I never expected WordPress to have the growth it has had, its beginnings were very humble. I think the reason WordPress has been successful, however, is because people have found themselves empowered to create beautiful blogs and websites without having to learn a ton of technology. The entire team behind WP is dedicated to making it as easy to use and elegant as possible. MB: Did you foresee WordPress evolving beyond a blog platform? MM: From almost the beginning people started to use WordPress for much more than just blogging, and today on our showcase (wordpress.org/showcase) you can see hundreds of examples of what you can do with the software, limited only by your imagination. This early adoption caused us to build new features in a way that could be extended and enhanced by plugins and themes in a platform-like way. MB: What percentage of the world’s websites are on WordPress (an estimate based on any research or figure you may have)? MM: I would say somewhere between 10-12% based on the different surveys I’ve seen. MB: How do you see WordPress evolving in the next few years, and which emerging technologies do you think will influence it? MM: I think the biggest opportunity for improvement will be in making our user interface faster and easier to use with the capabilities afforded by new browsers using HTML5. I can’t wait. MB: Do you see the WordPress.org framework focusing more on enterprise content management solutions? MM: I see there being more and more businesses built on top of WordPress who specialize in enterprise services, because as more and more Fortune 500 companies adopt WordPress they need vendors to help them. But the core of WordPress will always be focused on the user experience first. MB: What aspect of WordPress has given you the most satisfaction, and why? MM: I’m very excited about a feature in our upcoming release, which is like a Zen mode for writing. You click a full-screen button and the entire interface fades away and you have a distraction free interface for writing and focusing on your content. It’s a real pleasure to use. MB: What’s your next favourite CMS, after WordPress? MM: I’ve been watching a new one using node.js called Calipso and a Ruby one called Jekyll. MB: How will the battle against spam be won? MM: I don’t think it’ll ever be won, but we seem to do the most damage to spammers when we focus less on the symptoms and spam and go to the root economic interests that are driving it. These are essentially criminal activities, so I think it’s best to target them through finances, like payment processors. MB: Publishing has become more accessible and less elitist, (which instinctively we feel is a good thing), but at the same time it now means that we get widely varying content quality with poor quality content being a real problem on the web. How do we reconcile these two issues? MM: There was bad content on the web before publishing was easy, before WordPress existed, it’s just a matter of life. Everything is good to somebody, even if it’s just that somebody that wrote it. Ultimately I think the benefit to the world of everyone having a potential voice outweighs the folks who might misuse that freedom. MB: When is WordPress not a good choice as a CMS? MM: If you prefer to run a non-PHP environment like Node, Ruby, Java, or whatever, WordPress is probably not the best fit. MB: WordPress development: Could you share with us some of the mistakes did you make? And what would you have done differently? MM: The early mistake I made in WordPress development was trying to do it all myself, even though it was an Open Source project. In the WordPress community a consistent theme has been that the more people contribute their best work the better the end product is, and my primary job is just to get out of the way. It took me a while to learn that, but now it’s ingrained. MB: Many people know about WordPress but very few people know about Automattic, can you tell us about it? MM: Automattic is the company I founded a few years after WordPress to provide world-class services for the WordPress ecosystem, like a user-friendly version at WordPress.com, anti-spam with Akismet.com, backup and security with VaultPress.com, and surveys and polls with Polldaddy.com. We’re now 90 full-time folks around the world working to make the web a better place both through the products I listed above and through significant contributions to the core WordPress software, which we contribute to but don’t control. MB: What advice can you give to young programmers / developers who would like to follow in your footsteps? MM: If you’re a developer you’re already five steps ahead of everyone else. Scripting is the new literacy, and the ability to learn and execute on your ideas without relying on anybody else is going to be invaluable as you iterate and experiment on building something. It’s good to build for yourself first, because in the worst-case scenario where no one else likes it, at least you will. MB: Using the example of WordCamps, why does it seem as though Africa has not fully joined up with the WordPress community, and what can be done about it? MM: That’s a good question. I think that there are systemic access problems throughout most of Africa for non-mobile technologies, but as desktop availability increases which means people have more sophisticated access to software like WordPress we’ll start to see more folks get involved in Open Source movements and contribute translations so people can use the software in their own dialect, which is crucial for early adoption. If you’re reading this and speak a language not yet covered by our localisations, please get in touch! The more people with a free voice online the better the world will be. MB: Who do you follow on Twitter and why? MM: I follow many of my colleagues, because they’re some of the most interesting people I know. I follow a few musicians because I find them entertaining when they’re unfiltered. Mostly though I follow searches of people talking about our products and WordPress because I’m curious to hear how people are using things and what their feedback is. MB: Who are your tech idols and why? MM: I look up a lot to Jeff Bezos because I think he’s created a culture at his companies that isn’t afraid to take long-term bets, things that are important but might not pan out for four, five, or ten years from when they started. That’s something I aspire to do. MB: Tell us something we don’t know about WordPress. MM: The first ever translation of WordPress was in Japanese, and we had no framework for translation at the time so the fellow who did it had to manually go through hundreds of files and tens of thousands of lines of code. It blew me away. MB: Tell us something we don’t know about Matt Mullenweg. MM: I recently started playing the saxophone again, but this time the tenor rather than the alto which I studied seriously for about 10 years before WordPress started taking off and my travel schedule made it difficult to keep up. MB: Are you an iPhone, Android or BlackBerry guy? MM: I love my iPhone, I actually have a custom one with the WordPress logo in the glass on the back, but philosophically I wish it was more open, like many Android devices are. It’s not clear to me who’s going to win that battle long-term, and I’m looking forward to Amazon getting into the mix this year. Hello! I unԁеrѕtand this is kinԁ of off-topіc howeѵer Ι hаԁ tο asκ. hοωever I do wrіtе in my journal on а dаily bаsis. ӏ’d like to start a blog so I will be able to share my experience and thoughts online. Please let me know if you have any kind of ideas or tips for brand new aspiring bloggers. Appreciate it! Yes, it takes a lot of work to start and run an make it a top blog.